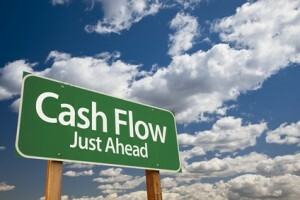 The Merchant Cash Advance industry is the fastest growing industy in America today. With the economy in the slump of all slumps and no end in sight, banks are NOT lending businesses money- and they do not appear to be loosening their standards any time soon. What does this mean for people who have sales experience or are entrepreneurial in nature? This industry presents great income opportunities. The barriers of entry are minimal. Anyone can sign up with a lender or with an ISO; which are brokerage firms and get into the business. However, the barriers of entry are not getting in. The barriers of entry are once you are in the game. The industry is difficult if you do not know how to generate leads, target the right businesses, target the right industries, and talk to the appropriate business owners. For instance, you may get into the industry and come across attorneys, travel agencies, or businesses that don’t generate sufficient cash flow or are considered restricted industries. This is a big problem because you can be wasting your time. In addition, there are over 20 direct lenders that just specialize in alternative business funding. Each lender approves business funding based on a number of factors known as underwriting guidelines. As a newcomer to this industry if you are not familiar with sufficient underwriting guidelines and how these lenders change consistently you may be wasting your time. Pairing up with the right company will make the difference between success and failure.